I mailed my Christmas Greetings on 29 November and this reply came today, 4 March 2017. I think I can safely say that this is the longest I have had to wait for a Royal Reply. I don’t mind though, you know I love getting Royal Mail. Like last year’s letter the one I received this year came later than anticipated, and showed no signs of personalization. 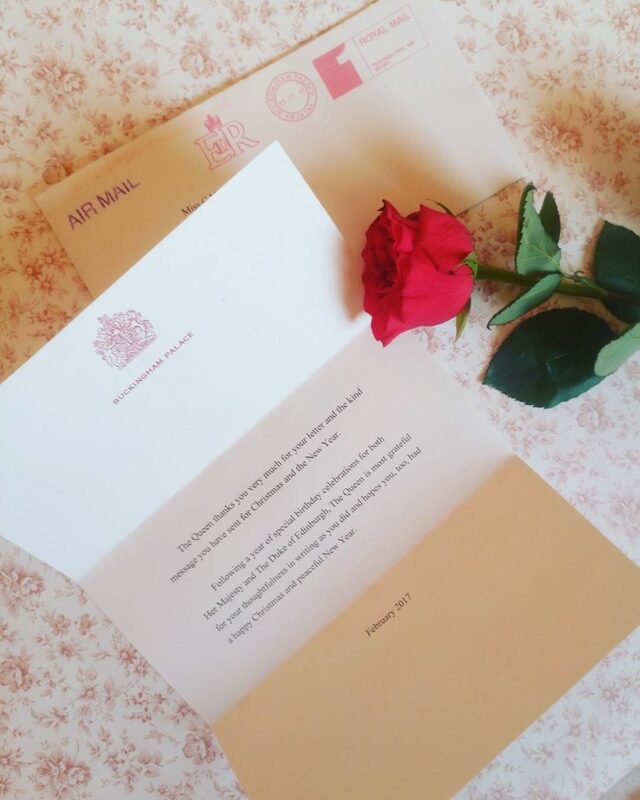 One misses those details but also accepts that Her Majesty gets flooded with mail and sometimes a nicely formatted form letter is the best plan for attending to it all. And besides I got a letter in response to Anniversary wishes that came from Sandringham House, I shouldn’t be too greedy. What really stands out though is the text of this note, different than the standard response in years past. The Queen thanks you very much for your card and the kind message you have sent for Christmas and the New Year. 2016 certainly was a notable year. Today’s delivery marks the end of 2016 mail. I will begin crafting all my Royal Mail Plans for 2017 tonight. I think a few more will be sent at the holidays this year.